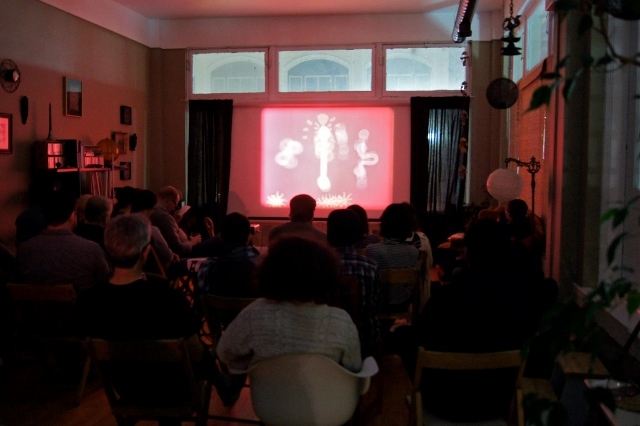 More microcinema in ‘Xperimental Xchange‘, 11/14 and ‘Avant to Live‘, 11/21 at Other Cinema. Echo Park Film Center microcinema, Los Angeles, CA. The biggest movie I ever worked on was North Country, which had a budget of $35 million and featured a bunch of movie stars including Charlize Theron, Woody Harrelson and Sean Bean. It was partly filmed in Northern Minnesota in February of 2005, and I was a Production Assistant, performing fairly menial and uncomplicated tasks on a crew of 70-some people for a few weeks. I remember a frigid night early in the shoot, filming a scene at a gas station in the middle of nowhere – starting after dark and continuing well into the next morning. My job was to keep random cars from driving into the shot, since the brightly lit gas station looked open. I was standing at the edge of the parking lot in the dark, with the temperature well below zero for hours while nearby, Charlize mimed the actions of pumping gas again and again, and was captured from several angles on 35mm film. No one seemed really to want to be there. The scene wasn’t that good. The script wasn’t that good. And, ultimately, the movie wasn’t that good either. It was uncomfortably cold and late, but we were all part of the industrial machine cranking it out together, doing our jobs, and, of course, getting paid. The film would go on to actually lose money, earning only about $25 million in box office worldwide, though it was nominated for a couple of Oscars. I was paid $150 flat per 12-hour day. Standing at the edge of that parking lot in the dark, I could see my warm breath billowing into the frosty air, backlit by the fluorescent lights of the gas station. That was the only interesting thing going on, in my opinion: more beautiful than Charlize, more complex and intricate than the action on set. If I had been in charge I would have filmed my own breath, and that’s what the scene would have been about, which would have cost way less than the $10 million the film would eventually lose. 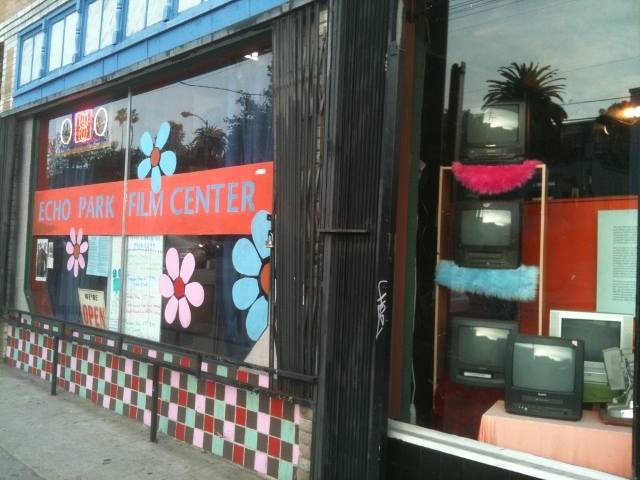 Echo Park Film Center, LA. That night I watched breath after breath dissipate in the sub-arctic void, and that micro-observation, in a way, redeemed the whole experience for me, made it feel worthwhile and memorable beyond either my $12ish per hour in compensation or the pride of being part of such a big film. That experience, and many others like it, inform my personal value system as a filmmaker and I’ve spent the last decade, more or less, articulating the road-less-traveled career decision I was in the process of making that night. Among the different ideologies and approaches to the moving image, I have found the available terminology pretty limited. Of course we have Hollywood and Independent and Art-House and Experimental and Avant-Garde and Home Movies – but much of this inexact vocabulary is deeply inflected by the PR and marketing of the mainstream and commercial end of the cinematic spectrum. And, these ideas are outdated – in Northern Minnesota I believed I was technically working on an “independent film” – directed by Niki Caro, a New Zealander previously lauded for indie hit Whale Rider. Eventually it was distributed by Warner Brothers, which may have been financially involved from the beginning…but what does all of that even mean, really? 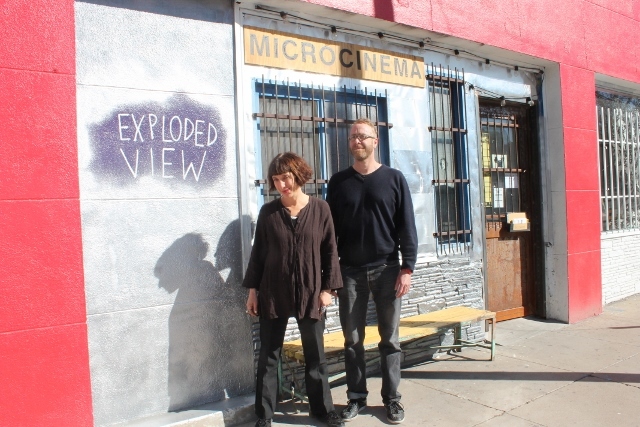 Rebecca Barton and David Sherman outside Exploded View, Tucson, AZ. I have personally found it useful to sift all of these denominations into two overarching categories, which I feel neatly express a dualism of ideology, intention, structure and approach to the medium of cinema, and are applicable both today and historically: “MacroCinema” and “MicroCinema’. “MacroCinema” is concerned with a greater-than-human scale of production, distribution and exhibition. People are involved, of course, but they are situated in an industrial, hierarchical context, the purpose of which is to translate messy, organic human-scale reality into a controlled, glossy, thoroughly packaged product to be consumed by a mass audience. Control is the key word here. Without a great degree of control exerted from the top down, “MacroCinema” would not be possible, which is to say, it would not be profitable. “MicroCinema”, in contrast, takes place at the scale of the human and smaller, and it is inseparable from the organic, the personal, the unplanned and unexpected. “MicroCinema” is almost never financially profitable because it is neither predictable in terms of outcome, nor buttressed by the massive marketing resources required to influence (manipulate) consumer choice on a large scale. “MicroCinema” is defined ultimately by a lack of control – on a large, expensive film project this would be horrifying and financially ill-advised, but in the context of a human-scale art-making process it can manifest in a healthy way as improvisation, exploration, experimentation. So, North Country = “MacroCinema”. Hypothetical film about my frosty breath = “MicroCinema”. Incidentally, I used my wages from that production to buy my first pocket-sized digital camera and shortly thereafter started the website www.videohaiku.com. The “MicroCinematic” ethic and aesthetic are both fundamentally relational – and absolute control, at this interpersonal level of relationship, is by definition dysfunctional. A CEO who seeks to control his employees’ performance is an effective and successful business leader – whereas in the context of a family, a parent who exerts a similar degree of control over their partner or child is considered pathological. The Trylon has a fairly small screen – bigger than most televisions these days but not by that much. 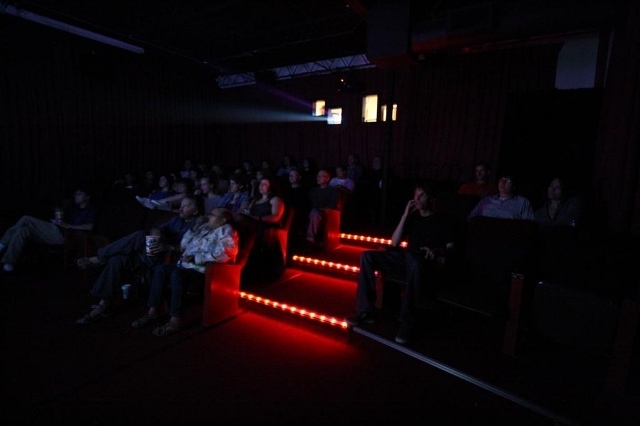 It has retained 35mm projectors, as well as 16mm projection capability and DCP, though that abundance of resolution and brightness is almost overkill on a screen barely bigger than a bedsheet. But for a microcinema, the size of the screen or the budget of the production is not a key factor in what to show, to whom. More is not always better, whether in terms of pixels, seats, decibels or box office revenue – more important are the organic relationships that evolve between the venue and the audience, between the audience members and one another, and between the viewers and the films themselves. The prioritization of an organic and evolving relationship between these figures (filmmaker, subject, exhibitor, audience) can be traced back through the filmmaking process to its inception, and back through film history to its earliest days. “MicroCinema” has always received less attention than its louder, pushier big brother, but it has persevered just the same. At the beginning of all the textbooks on cinema one usually finds two names, the Lumière Brothers and Georges Méliès. Méliès was a trained magician who gave us elaborately staged classics like A Trip to the Moon and pioneered the use of special effects – the original practitioner of “MacroCinema’ – while the Lumière Brothers were more interested in, for instance, Workers Leaving a Factory and other small, humanist, microcinematic, observational moments. 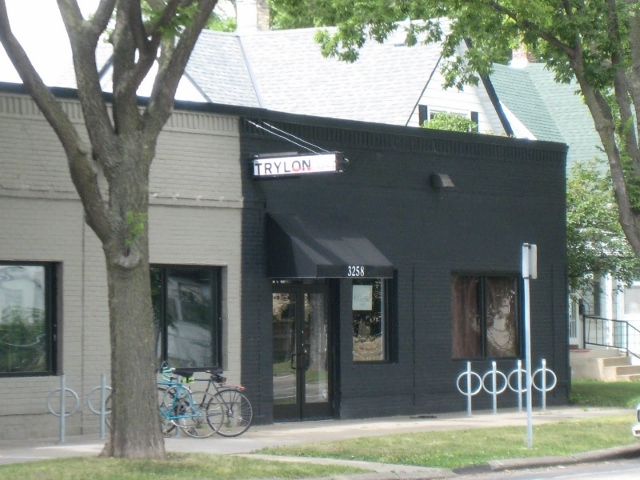 The Trylon microcinema, Minneapolis, MN. For the majority of the 20th century, “MacroCinema” was without a doubt ascendant, but “MicroCinema” has always been with us, and Fred Camper argues in Some Notes on the Home Movie that in terms of sheer minutes or frames of footage, “MicroCinema” has perhaps always been the more fruitful of the two approaches to the moving image, steadily generating more material and more meaningful inter-relationships, though each project itself exists within a far more modest scope. All film industry PR on the subject, from the coinage of the term “Independent Film” in the 90s to the “Artist-Entrepreneur” today, seems to me to serve a very specific ideological purpose for the film industry, to co-opt the audience’s microcinematic desire to be in an organic relationship with the films we watch and the filmmakers themselves. But the superficial intimacies of “MacroCinema” are an illusion; the “relatability” of movie stars is itself a form of manipulation and control. There’s nothing wrong with “MacroCinema”, and it is perfectly suited to a certain type of industry-minded, highly-structured, meticulous artist: a Stanley Kubrick, a James Cameron, a David Fincher. But confusion between the “Micro-” and “MacroCinema” categories can cause real suffering for artists who think they are the same thing, or that it is possible to glide smoothly from one category to the other. I have personally seen far too many film projects with limited resources attempting the production processes and seeking the outcomes of “MacroCinema” – this can be quite traumatic for all involved, damaging relationships, causing financial ruin and often turning people away from film making altogether. Likewise, people working in the world of “MacroCinema” grow disillusioned and jaded without being able quite to describe the gulf between what they set out to do – make personally meaningful films – and the industrial grind in which they find themselves year after year. Once insightful directors struggle more and more to “connect with audiences” because the whole process of “MacroCinema” is oriented towards control rather than any sort of evolving, organic, co-creative relationship. Whatever we may have called it, most of us who love making movies started out making “MicroCinema” – small, fun projects running around with a camera, made with our friends and family, made for our friends and family to enjoy. Those of us who have pursued this passion into adulthood are often given a literal ultimatum at some point, by a teacher, a mentor, or a manager. We are told that “MacroCinema” is the way that adults make movies, that’s where the careers and the recognition are, that ever-increasing scale, control, and marketability are the only ways forward. They are perhaps right about jobs and careers, but wrong in their assessment that this is the only meaningful adult path. To think otherwise, to pursue a non-industrial approach is to be dismissed as a hobbyist, a dilettante, a home-movie-maker, an amateur. 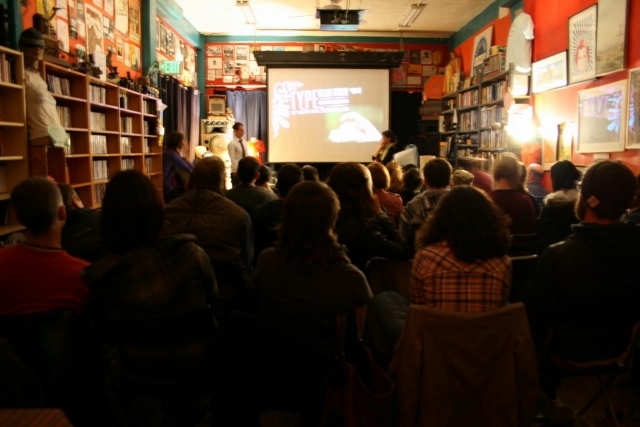 The advent of the “MicroCinema” as a screening space is a significant cultural effort to reclaim the community-oriented aspect of film appreciation as a meaningful, shared activity, on the far side of the era of home video and in the midst of streaming-everything. The desire to extend the concept of “MicroCinema” to the actions and intentions of making and sharing the moving image is, on my part, a related effort to reclaim these marginalized approaches from their derogatory characterization as “not serious” by commercial, commodity-oriented industrial movie making. “MacroCinematic” modes of producing and distributing mass media will no doubt be with us for a long time, in no small part due to their effectiveness as methods of creating effective social propaganda and propagating specific forms of ideological control. But big movies requiring massive resources with a short shelf life – such as North Country – probably have far less cultural impact and longevity than the people making them would like to think, even compared to something short and sweet, simple and cheap, unplanned and uncontrolled, that is shared in a limited way at a local screening with family and friends. Today, many filmmakers tour with their work, road-tripping around the US and Europe, stopping at various microcinemas and cinematheques to share their creations with a warmly receptive and appreciative audience for an evening or two. I was fortunate, standing at the edge of the void in that Northern Minnesota parking lot, half-attending to my PA duties for the sake of Charlize and Niki and slightly-better-than-minimum wage, that I was already vaguely aware of the existence of Experimental and Avant-garde film history; a little bit of Stan Brakhage, Maya Deren, and Jonas Mekas at least. So when I decided that a career in the industrial, “MacroCinema-oriented” film industry looked quite miserable, I knew that there was something else out there, another way to approach the moving image. Even though there was far less money and glamour in it, I had a sense of my options at least, so that when I was done working on North Country I didn’t decide to stop making movies altogether. My hope, in beginning to work to name and articulate a concept of “MicroCinema”, placing it in a sort of parity and balance with “MacroCinema” as something equally meaningful and worthy of respect, is simply to give new vocabulary to other aspiring filmmakers, young and old, who may be disgruntled or despairing at their prospect of grinding and hustling their way to the top of the pyramid to someday fill the shoes of J.J. Abrams, Joss Whedon, or others out there “helming” glossy, sleek and expensive commercial films. If making MacroCinema is your heart’s desire and calling in life, by all means, go for it – godspeed to you. Charlize and Woody await. But if it’s not, take heart, there’s room for you over here in the messy and strange, warm and friendly, human-scaled community of “MicroCinema”. Great article. It really is true that a stigma exists around filmmakers with a desire to pursue smaller-scale “personally meaningful films”, as the article nicely puts it. Also definitely agree that this negative image forces both those that don’t have the resources for macro-cinema to feel their work is less relevant, and for those active in macro-cinema but unhappy with that creative atmosphere to fear that if they leave the industry, micro-cinema is not as viable and acceptable form of film. Thanks, Ellie! I think people would be amazed at how much fear runs the film industry, on all levels – fear of not getting another job, fear of not being taken seriously. I really enjoyed your article, Kevin! As someone thoroughly disenchanted with “MacroCinematic” modes, it’s refreshing and indeed inspiring to hear about “MicroCinematic” resistance. 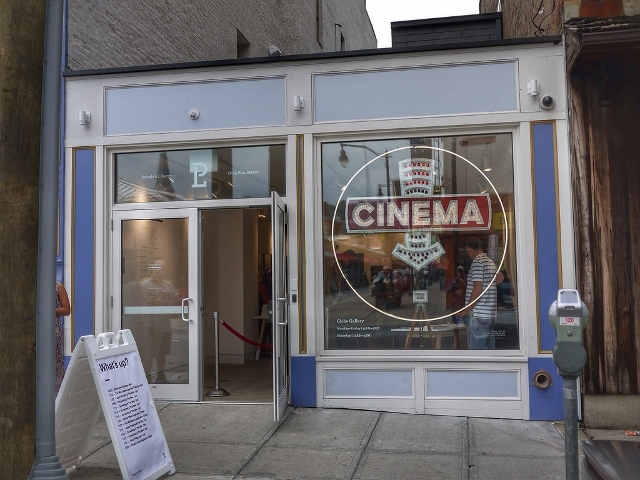 Often, I go for the nostalgia kick in response to the tripe that can be easily found in the mainline, and so I’m happy to hear there are venues for contemporary filmmakers to share their work with a warm crowd. I’m new to Southern California, but I’m not too far at all from EPFC, so I’ll have to check it out. Thanks so much for sharing your thoughts about the subject and for the links! Thanks, Sean! Yes, the EPFC is pretty awesome. There is a lot of cool microcinema going on in LA. The LA Film Forum is also great! This is wonderful! I run Mechanical Eye Microcinema in Asheville, NC. I’m working on a zine about how to start a microcinema/alternative screening & education space. Craig suggested I talk to you about possibly reproducing this as part of the zine?